To earn her Doctor of Chiropractic degree, Dr. Fisher went to Dallas and attended Parker University. Immediately following graduation, she moved to Austin and began practicing. 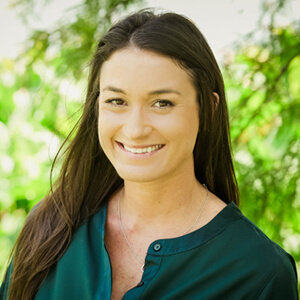 She joined the RejuvaWell team in Austin and enjoys promoting and sharing the effectiveness of chiropractic care. Her patients find her gifted, genuinely caring, sharp, friendly and a first-class adjuster. She is thrilled to be able to contribute by working at RejuvaWell with Dr. Paris and the team. This amazing woman took 2 weeks off after having her 2nd child last year, and was immediately ready to return to work! Chiropractic is amazing; her husband is also a chiropractor and we think that’s why she took at 2 week maternity leave. When she isn’t at the office, Dr. Fisher enjoys spending time with her husband, two energetic sons, watching live music and theatrical shows (not so much now with the newer baby! ), playing the piano and caring for her cats.